An architect and urban planner, Cecilia joined DDS+ team in 2013. 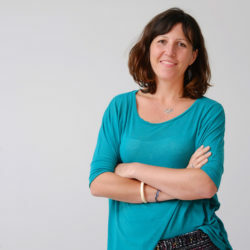 With an international background as project leader for large mixed-use projects, competitions and public-private partnerships, and experience in research through design on sustainable development, she was appointed manager for some ambitious projects (Neo, Réinventer Paris, Rive Gauche), both at the competition and the construction stage. After an experience in the humanitarian sector working for the French Red Cross in Haiti, she is now in charge of the R&D department of DDS+, focusing on strategies and practical solutions, towards more sustainable and resilient urban futures.